OriginsRO Boards • View topic - Episode 0.8 Preview! 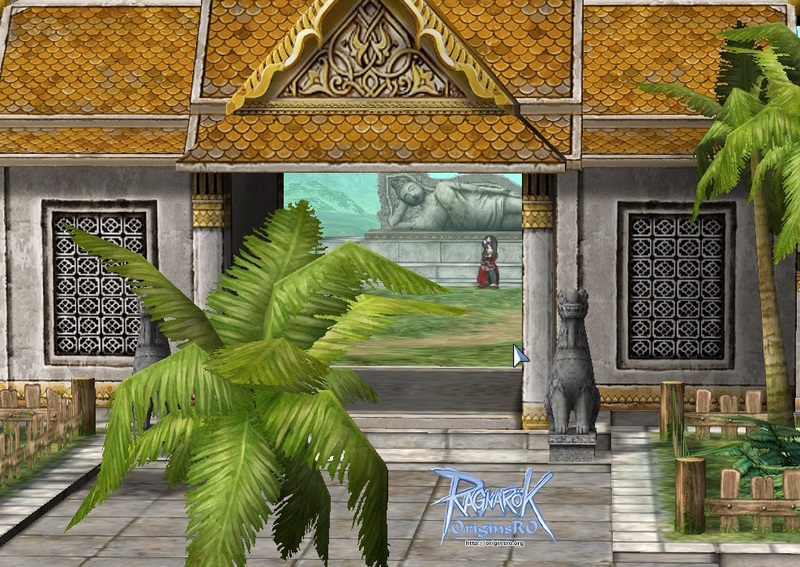 As you might have heard already from Game Masters in game the release of Episode 0.8 - Ayothaya is coming closer! Since Episode 0.8 isn't just the Release of Ayothaya's Maps, NPCs and Monsters, we'd like to introduce everyone to features that we'll be implementing along with it. With our new party system, we are promoting partying with other players by giving a boosted EXP buff! This system will greatly benefit those who want to level faster by doing it with other members of OriginsRO, bringing our community together even more. Each different player in the party will increase the bonus, giving our users the opportunity to explore new and more difficult maps, with everyone being rewarded by working as a team. Introducing the Buying Stores feature on OriginsRO - you are now able to purchase multiple items you would like to buy with a set Zeny price for each one! The only requirement is that you have at least one of the items you want to purchase already in your inventory. Buying Stores are limited to Non-Brewed Consumable items and Etc. items. 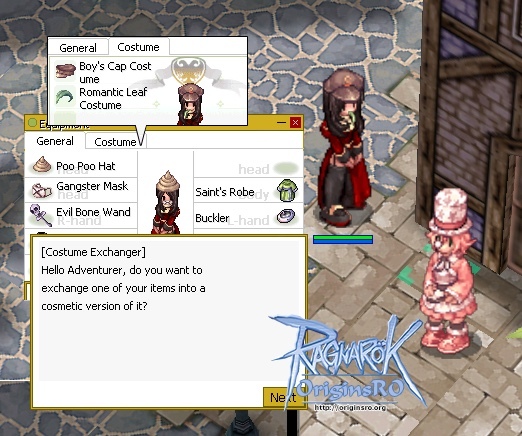 Merchants are able to set up a Buying Store with a limit of 5 items by going to the Merchant Guild in Alberta (alberta 37, 41) and talking to the Purchasing Team NPC. He offers to teach you the skill Open Buying Store and sell licenses. Non-Merchant classes are able to set up a Buying Store with a limit of 2 items with a Black Market Buyer Shop License. You can find the Black Marketeer in Morroc, enter the pub (morocc 45, 106) and talk to the Black Marketeer. He will sell you licenses to create Purchase Shops. Costumes are here! You can now change a set list of 11 headgears into cosmetic versions of themselves, “wearing” them over your other headgear for a more cute or bold appearance! More options will be added gradually with the suggestions of the community in mind as small patches are released. These will be available in Geffen near the Hat Dyer from the Costume Exchanger (geffen 178, 127) in exchange for a pre-determined amount of Zeny. Any item you may change into a costume will lose any added or defense stats, and its weight will be changed to 1. With War of Emperium being temporarily disabled, we thought we would give everyone the chance to access any of the guild dungeons for the cost of 100,000 z per character. This potentially opens up four different leveling and farming spots for everyone! Be sure to take advantage of it while you have the chance. Once War of Emperium is enabled again, access to the dungeons will be again restricted to castle owners only. 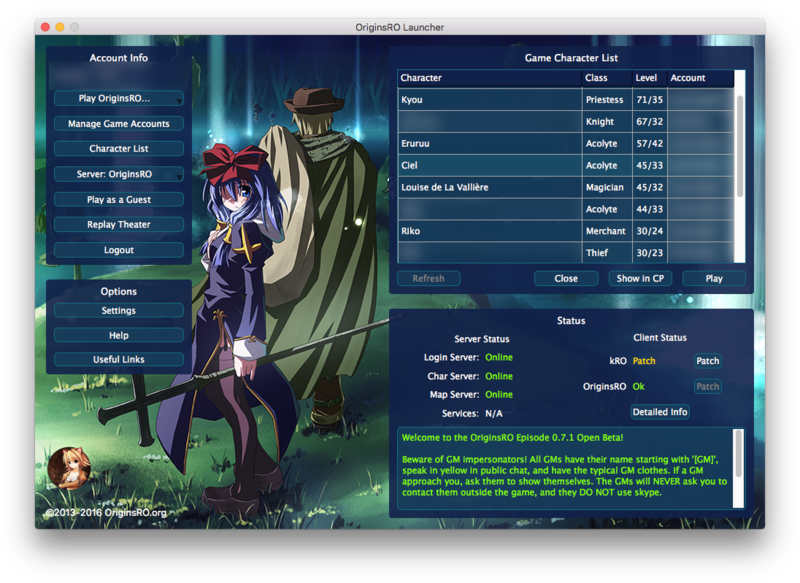 Our new and improved Game Launcher will facilitate logging into the correct account with our newly added Character List tab. This allows you to choose by your actual game characters instead of your Game Accounts, and it's in descending order based on the character's levels, so your most leveled characters will be at the top for easy access. The new launcher will be released, as usual for both Windows and OSX. Looking forward to it! Hope we get more costume hats often. 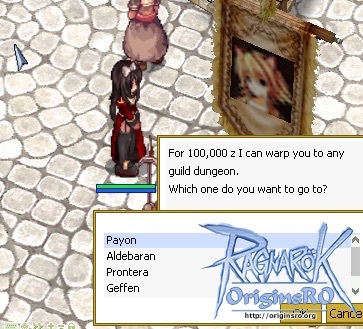 Is it possible that part of the guild entrance fee goes to the Brave Warrior NPC? 100k seems a bit steep for each entry and it wouldn't feel like such a loss if some of it goes to floating exp NPC. Edit: Do buying shops have tax too? It would also be cool if the tax from vendors also went to that npc. Is Ayothaya up already? And will it just automatically update or do we need to click "Patch"? yankee wrote: Is Ayothaya up already? And will it just automatically update or do we need to click "Patch"? Seems like it's not done yet. And yes, you have to patch! Yeah please use the patcher, or you might encounter Errors ingame. We're almost done with the maintenance. The oRO patch is ready. Please patch. The server will be up soon for playing! Please read around before making a post! Check the Wiki as well! A please is always welcome, as is a thank you!